Join Carol & Alan Irvine as they host one of their infamous fundraising nights, this time for both Alzheimer’s Research AND The Rob George Foundation. 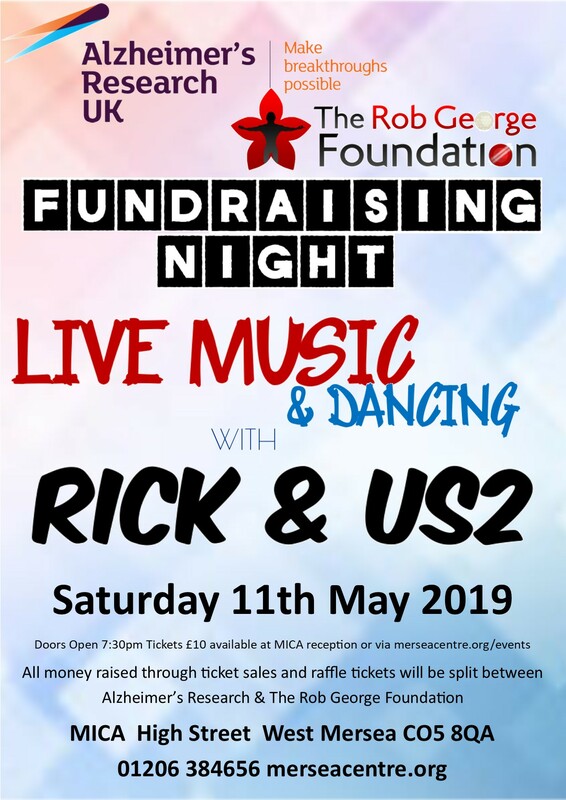 There will be LIVE Music & Dancing from brilliant local band, Rick & Us 2, who are donating their time to support this event. The band’s signature sound of the 50s & 60s will have everyone up dancing from the very start!! All money raised through ticket sales & raffle tickets will be split between the two charities.